For some, the Christmas season kicks off in July. For others, it’s the day after Halloween. A few even are able to hold off until the Black Friday’s shotgun start to the shopping season. For some Utah residents, the official start to “The Season” begins when they become part of a 3,000-voice choir for the Messiah Sing-In, now in its 33rd year. Handel originally composed the oratorio for the Lenten season—when everybody is supposed to be repenting, denying themselves various pleasures and trying to figure out ways not to enjoy themselves—not the festive Christmas season, when people anticipate the arrival of the Christ child and celebrate with family and friends. Nevertheless, Messiah has wound up inextricably tied to the run-up to Dec. 25. It’s the musical equivalent of Babe Ruth starting out as one of baseball’s top pitchers, but ultimately being remembered as its most entertaining power hitter. The great thing for those who enjoy singing along with “For Unto Us a Child is Born,” “Behold the Lamb of God” and “The Hallelujah Chorus” is that the Messiah Sing-In is more about desire than ability. Just show up with a score, or buy one for a nominal fee in the lobby beforehand, and belt your lungs out in Abravanel Hall. 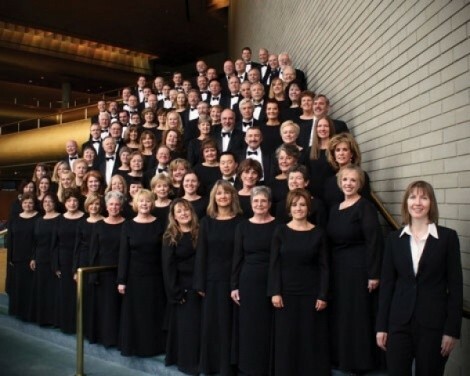 If you make a mistake, the Utah Symphony, Symphony Chorus (pictured), and thousands of other singers will cover them up. In between choruses, enjoy solo performances by professional singers on the various arias, airs and recitatives.